This technology advancement has not only changed the trend of doing business but it has also changed the lifestyle of the common person. Emerging of young entrepreneurs has completely altered the role model because the young people are getting more motivated by their action, their lifestyle and it has been seen that they are influenced by them. This has created an environment which is full of conscious about health and their employee benefits (Elias & Beasley, 2009). As a result of this the fitness business has taken birth and as the world is moving it has become one of the most emerging businesses in all business segments. But at the same time, the huge amount of profit in this business segment has attracted many business players and it has cut down the profit share among this business segment. In order to make one organization different from other organization, this organization has completely focused on the service part because they believe that the service is only the portion where they can differentiate them from others as they all deal in almost same kind of product offering (Artis & Okubo, 2009). The Health club is one of the unisex fitness center located in Australia which is dedicated to providing the customer a better service in the form of a healthy living. This fitness center provides the offering of personal trainers which will devote their time to one customer at a time. This fitness center is divided into two segments one is main workout section and other is the cardio area (Healthclub, 2018). Work section includes all the heavy instruments which are utilized for only bodybuilding purpose while Cardio section is totally dedicated to the health fitness purpose. This fitness center also provides the sports facilities for their customers like ice rings, swimming etc. One of the most important motivators for any business is its customer base and customer base is being created by full filling the requirements of the potential target market. For any fitness center, the most important aspect is their target audience (Artis & Hoffmann, 2008). A fitness center can only can only grow if that fitness center is successful in even converting half percent of the target audience population into their customers. Something is applicable to the Health club; they are mainly focusing on age section from 18 yrs-55yrs. The Health club has segmented their target audience in two sections age 18-34yrs and 35yrs -55yrs. According to one health study, almost 62% of the targeted segment comprises of the age group of 18-34 yrs and around 29% of the target audience belongs to the age group of 35-55yrs. Hence health club has made their focus move towards this youth section and little attention towards the age group of 35-55yrs. This graph clearly points out the trend among the youth and indicated that female in Australia is more conscious about health fitness as compared to males. Hence, Health club has taken advantage of this pattern and moved their focus more on women's as compared to men. Due to globalization, the income level of the current population is not same in fact it has increased to very good as compared to an earlier time where there was a huge difference in income level among the population. Now many youths are self-made millionaires and this trend is going on (Mullen & Whaley, 2010). Hence spending money is not at all an issue until the person is getting the best services. This statement is being quoted by the health club for their business operation. Now focusing on the two marketing aspects of health club i,e people and promotion. The health club has done its marketing with respect to the target audience and introduces its best strategy to convert this population into potential customers (Yu et. al., 2014). In the case of people, the health club has totally focused on the target audience which they want to convert into potential customers. The health club is well aware that there are many players in the market which are serving in the same line with almost similar kind of products. Hence they are fully focusing on their customers and try to provide the best service to them (Bodet, 2008). It has been noted that the service provided by them actually reflects the research done by them on the basic lifestyle and demography of the customers. In Health club they have created such kind of environment in which the customer not only fell relaxed but also feel connected with the staff of the health club (Alexandris, Douka, Papadopoulos & Kaltsatou, 2008). As the Health club is aware of the busy schedule of the customer, it may be college students, professional bodybuilders as well as working corporate professionals so they have come up with the idea of 24/7hrs service to their customer. In this 24/7hrs service scheme, the health club provides their service to these clients according to their free time so that they can completely dedicate their time for health fitness instead of thinking about some professional work related things (Daryanto, de Ruyter, Wetzels & Patterson, 2010). Promotion serves to be the important part for any organization or club for their growth. It is the promotion which decides the customers reach. For this Health, club has used both digital and traditional way to market their services (Back, & Lee, 2009). 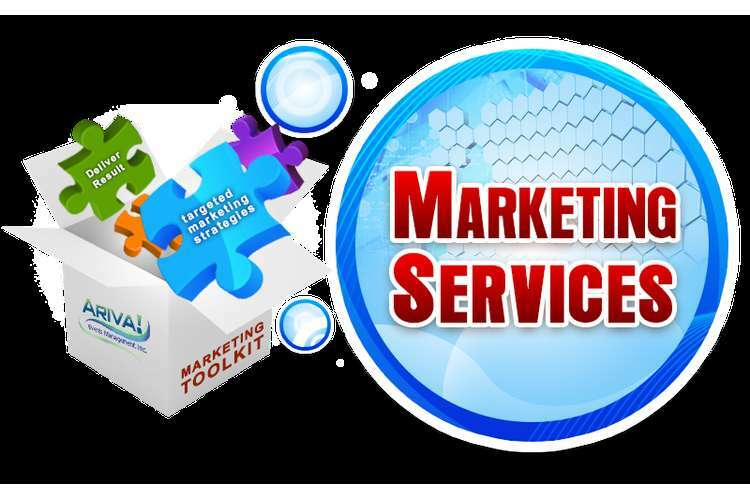 In the case of traditional marketing, they are using advertisement in newspapers, billboards, newsletters, and flyers. Health club mainly focuses on the digital marketing with the help of social media such as Facebook, Instagram, and Twitters. The reason for using digital marketing is because they believe that it is the fastest mode of reaching to the potential customers within a reasonable prize (Cohen, Marsh, Williamson, Golinelli & McKenzie, 2012). They also use video promotion on YouTube to capture as much portion of the population as it can cover. The health club also uses affiliate marketing in which they promote their service on the Facebook in which the person who is reaching for the fitness related material will directly reach to the Health clubs website which will wider it promotion area (Moschis & Friend, 2008). The health club is also using Google add which provides the health club to select the zone which they want to target in the circle of miles. No doubt the marketing strategy of Health club is good and also it has a good customer base in Australia. But while availing Health club service, it has been noticed that somewhere the club has constant its promotion and also there is some gap related to people section. The health club should not forget that current time is for dynamic business strategies and in this time if some business will continue with the same strategy, in future, there is enough possibility the business will lose its market due to competitor’s continuous improvement. Hence, in people section, the Health club should provide the option of online training in which the customer can even get their service when the customer has spent his busy day with office and is not in the stage to travel more. This kind of strategy will provide a unique competency to the Heath club as compared to other fitness organization present in the business market. The Health club should also introduce membership card in the form of silver and gold card. In silver card, they should include the customers which are with the Health club from almost 1 year. In this membership card, the Health club will cover 5% discount on the fee along with medical facilities from the Health club. In gold card, the Health club will cover a trip for their customer, 9.5% discount in fee, free protein shake and medical insurance which will be given to the customers which are associated with the club from more than two years. The Health club must conduct one REATR survey related to their club so that they will get a clear idea about the quality of their services on the basis of responsiveness, reliability, empathy, assurance, and tangibles as compared to rivals. In current time persons are becoming very close to the society due to awareness about social responsibility. Here the Health club can form some kind of association may be in the form of a partner or supporter to the local community of the society to create the importance of being fit. They can also promote social help support to the needed people in old age home or physically challenged people which will help the Health to create such an image in the society that will automatically get promoted without spending even one dollar. In this global competition in which every company is in the mode of presenting their best with the help of their unique competency by which they can acquire the major portion of the business market share, the company should always follow the path of creativity, especially in the business like health fitness. In order to remain successful in this market, the Health club must use new marketing strategy which is related to the technology and must have some kind of emotional appeal that will attract the most portion of the audience population. Young, wealthy, fitness and advent aware customers whose routines are effortlessly combined to fitness and suitability clubs and have optimistic attitudes to workout are the most foreseeable sections. Though, customer’s needs and demand changes at many sectors of their lifespan and domestic phases and maybe proposal place or more modified chances. Obvious health energies seem to be sturdier than arrival, though it is likely that people are connected and enigmatic in the countryside. There seems to be a division between customers who favor calming surroundings and persons who errand strong-energy circumstances. Some customers select to work out alone, although others wish social platform. The health club is in need of a flexible environment which can change according to situations. 1. Alexandris, K., Douka, S., Papadopoulos, P., & Kaltsatou, A. (2008). Testing the role of service quality on the development of brand associations and brand loyalty. Managing Service Quality: An International Journal, 18(3), 239-254. 2. Artis, M. J., & Hoffmann, M. (2008). Financial globalization, international business cycles and consumption risk sharing. Scandinavian Journal of Economics, 110(3), 447-471. 3. Artis, M., & Okubo, T. (2009). Globalization and business cycle transmission. The North American Journal of Economics and Finance, 20(2), 91-99. 4. Aziz, K., Rai, S., & Rahman, A. (2015). Design flood estimation in ungauged catchments using genetic algorithm-based artificial neural network (GAANN) technique for Australia. Natural Hazards, 77(2), 805-821. 5. Back, K. J., & Lee, J. S. (2009). Country club members’ perceptions of value, image congruence, and switching costs: An exploratory study of country club members’ loyalty. Journal of Hospitality & Tourism Research, 33(4), 528-546. 6. Bodet, G. (2008). Customer satisfaction and loyalty in service: Two concepts, four constructs, several relationships. Journal of retailing and consumer services, 15(3), 156-162. 7. Cohen, D. A., Marsh, T., Williamson, S., Golinelli, D., & McKenzie, T. L. (2012). Impact and cost-effectiveness of family fitness zones: a natural experiment in urban public parks. Health & place, 18(1), 39-45. 8. Daryanto, A., de Ruyter, K., Wetzels, M., & Patterson, P. G. (2010). Service firms and customer loyalty programs: a regulatory fit perspective of reward preferences in a health club setting. Journal of the Academy of Marketing Science, 38(5), 604-616. 9. Elias, J., & Beasley, C. (2009). Hegemonic masculinity and globalization:‘Transnational business masculinities’ and beyond. Globalizations, 6(2), 281-296. 11. Moschis, G. P., & Friend, S. B. (2008). Segmenting the preferences and usage patterns of the mature consumer health-care market. International Journal of Pharmaceutical and Healthcare Marketing, 2(1), 7-21. 12. Mullen, S. P., & Whaley, D. E. (2010). Age, gender, and fitness club membership: Factors related to initial involvement and sustained participation. International Journal of Sport and Exercise Psychology, 8(1), 24-35. 13. Yu, H. S., Zhang, J. J., Kim, D. H., Chen, K. K., Henderson, C., Min, S. D., & Huang, H. (2014). Service quality, perceived value, customer satisfaction, and behavioral intention among fitness center members aged 60 years and over. Social Behavior and Personality: an international journal, 42(5), 757-767.